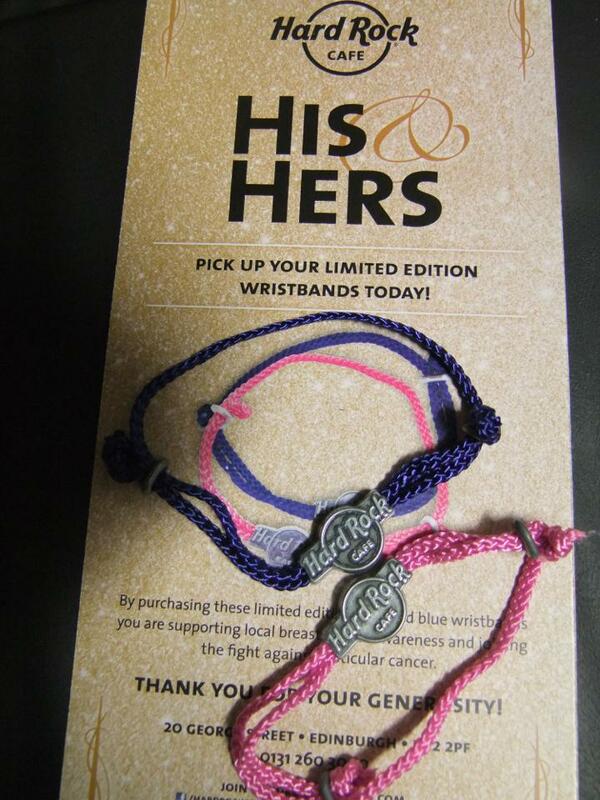 we are delighted to announce that the Hard Rock Cafe in Edinburgh are supporting our Charity and a Scottish testicular cancer charity by selling funky wristbands in their venue. We also have a few to sell at £1 each. 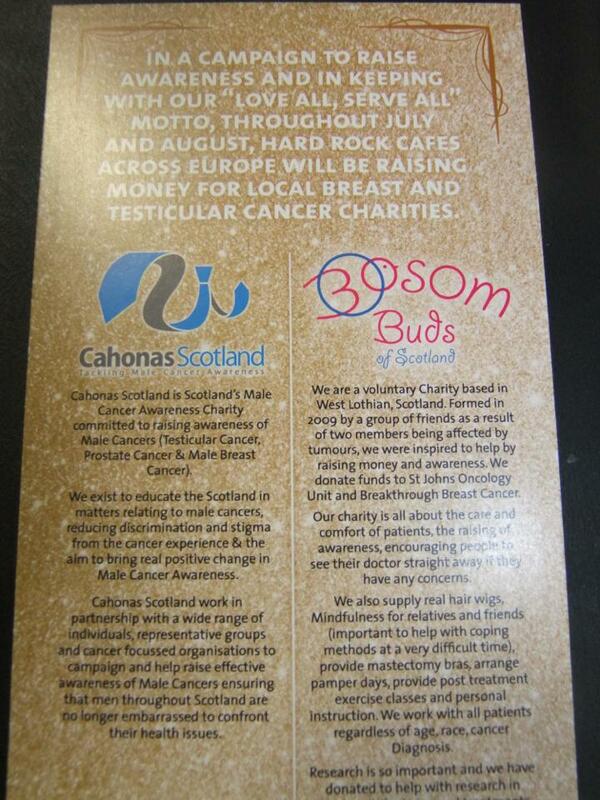 We hope to work on more fundraising initiatives with the Hard Rock Cafe in Edinburgh in the future. Thanks guys!